Our customers love ELAC's Uni-Fi UC5 center channel. Our customers love ELAC's Uni-Fi UC5 center channel. Now the same great performance is available in a sleeker footprint. The Uni-Fi CC U5 Slim offers identical performance in a wider, shorter, and deeper cabinet. It's ideal for an ELAC home theater system, especially when paired with Uni-Fi series bookshelf or floor-standing speakers. The CC U5 Slim's concentric driver places a 1" soft dome tweeter directly in the center of a 4" aluminum midrange cone. This precise alignment creates a "unified source," ensuring that all frequencies arrive at your ears at the same instant, producing coherent, accurate sound. The ELAC Uni-Fi CC U5 Slim's concentric driver places its tweeter at the center of its midrange cone for enhanced imaging and clarity. The UC5 Slim uses two custom-designed 5-1/4" aluminum cone woofers to supply articulate bass that blends in precisely with the concentric driver. The woofers' large magnets and vented pole pieces increase power handling for bass that's clean, clear, and powerful. Dual rear-firing ports extend bass performance, while keeping it tight and tuneful. 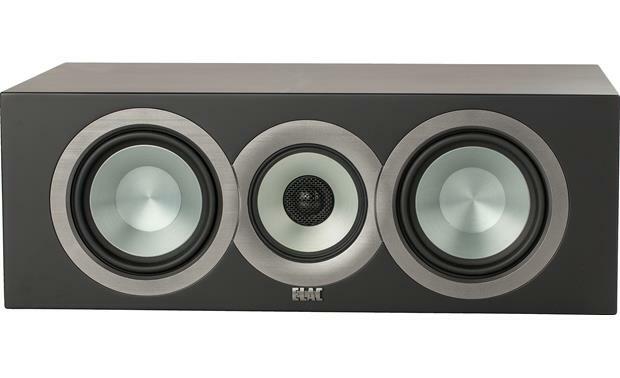 3-Way Speaker Design: The Elac Uni-Fi CC U5 Slim center-channel loudspeaker employs a 3-way design with a new in-house developed concentric driver. 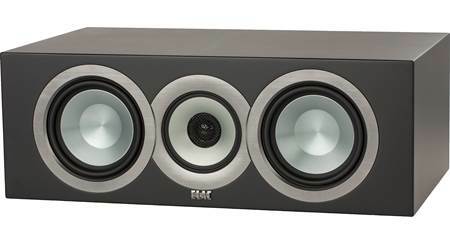 A 3-way speaker offers many advantages in the design of a full-range system. 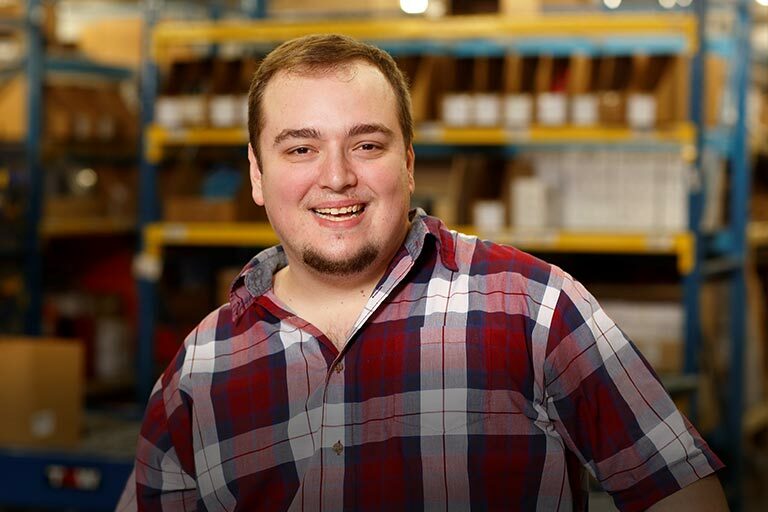 By assigning dedicated drivers to high, midrange, and bass frequencies, each is optimized for the frequency range for which its design and material composition is best suited. The CC U5 Slim center-channel speaker consists of a concentric midrange-tweeter driver for high and midrange frequencies, while two aluminum-cone woofers handle lower-frequency midbass and bass. 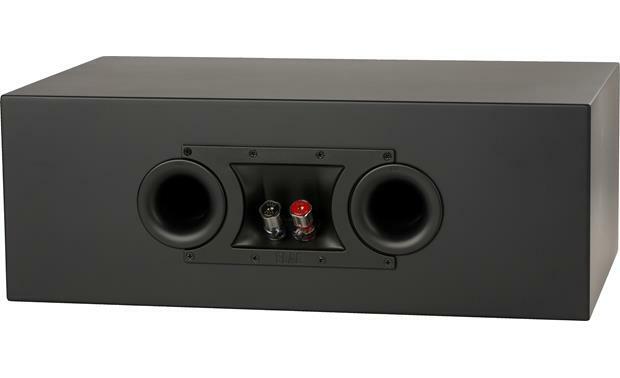 At the same time, a 3-way speaker allows for a more straightforward crossover and cabinet design. Custom-Designed Concentric Driver: The Elac Uni-Fi CC U5 Slim center-channel loudspeaker employs a concentric driver design, combining the 1" soft-dome tweeter and 4" midrange cone diaphragm within a single voice coil. Because of its ideal time-domain characteristics, a concentric driver design delivers the most coherent and accurate reproduction across the treble and midrange frequency spectrums. Positioning the tweeter concentrically within the midrange voice coil achieves a uniform directivity pattern, for flat frequency response and formidable power handling, along with enhanced imaging for both on- and off-axis listening positions. 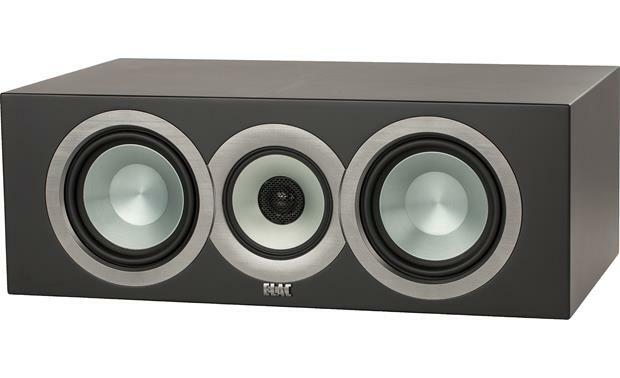 Dual Aluminum Woofers: In addition to the concentric midrange-tweeter driver, the Elac Uni-Fi CC U5 Slim features two 5.25" aluminum cone woofers. Through the use of aluminum, resonances that affect the linearity of common paper cones can be placed beyond the driver's operating frequency range. An extended size magnet with vented pole piece increases power handling, for accurate reproduction of bass frequencies that are clean, clear and powerful. 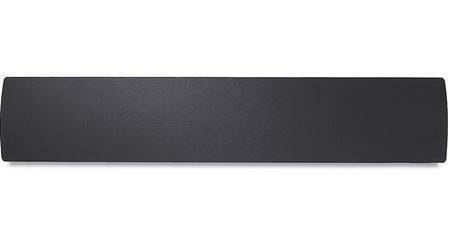 Note: Optimal results for the center speaker are obtained by setting your AV receiver's center channel size to small. If given the choice, set the crossover frequency between 50 to 100Hz. Dual Bass Ports: The Elac CC U5 Slim center-channel loudspeaker utilizes a bass reflex enclosure with two rear-firing flared ports for greater efficiency and bigger bass response. 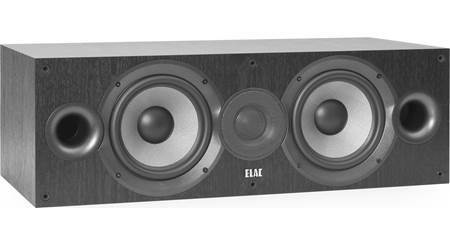 Note: The Elac CC U5 Slim center-channel loudspeaker is available in a black or white finish (both come with a black grille). 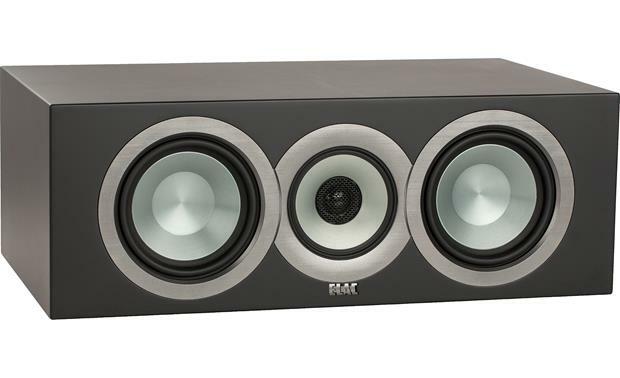 Binding Posts: The Elac Uni-Fi series center-channel loudspeaker is fitted with a set of heavy-duty, binding-post terminals which will accept bare-wire (up to 10AWG), pin-connectors, and banana plugs (single only). Placement & Mounting Options: The center-channel speaker should be placed directly above or below the center of your TV screen. It can rest on a flat surface like a table top, shelf, or stand. 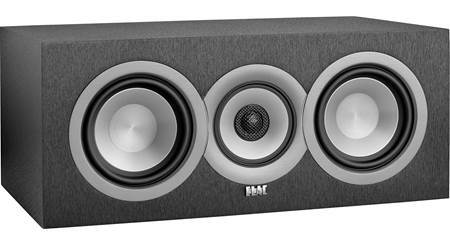 Try to keep the center-channel as close to the same level as your front speakers for a more even soundstage. If this is not possible, you might try tilting the center speaker up (if too low) or down (if too high) to aim it wards the listening area. The speaker should be positioned approximately 1' to 2' away from boundaries, such as walls or corners. Note: The center-channel speaker does not offer wall-mount capability. Searches related to the ELAC Uni-Fi CC U5 Slim Center channel speaker.